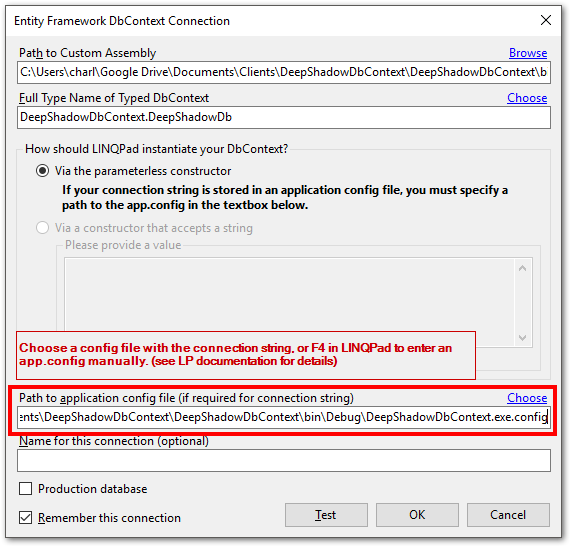 DeepShadow helps solve a specific yet common use case: the developer needs unit test data from complex models, and wishes she could use actual data with some modifications. What if she could do this? And get something like this? Here are relatively simple parent-child domain classes. They map to SQL tables, and the application is using Entity Framework. You might need to test a Web API that itself calls a service. The model that comes back from the service includes related classes (i.e. Navigation Properties). You're not testing the service, but you need to be sure that the Customer/Order properties map correctly to the View Model properties. You don't want to find out in production you set the CustomerViewModel.CodeList property to Customer.Name. The mock service could be as simple as this, if you didn't want to use a mocking framework. Each test can set what customers/orders it wants to use. But what if you have classes with twenty or thirty properties? And what if those properties have some domain-specific data or formats that need careful testing? Customer.Name = Lewellen-Taft-O'Brien Marketing, LLC. It's both tedious and error-prone to fabricate values like that when excellent test data is right there in the database! And, you already have code in the service to return that data. You just want to generate code to recreate the data in memory. You'd put the above in some kind of unit testing MockData class, which is used to set the mock service method's return value. Often you'll want to retrieve data from your database, but obscure sensitive data. 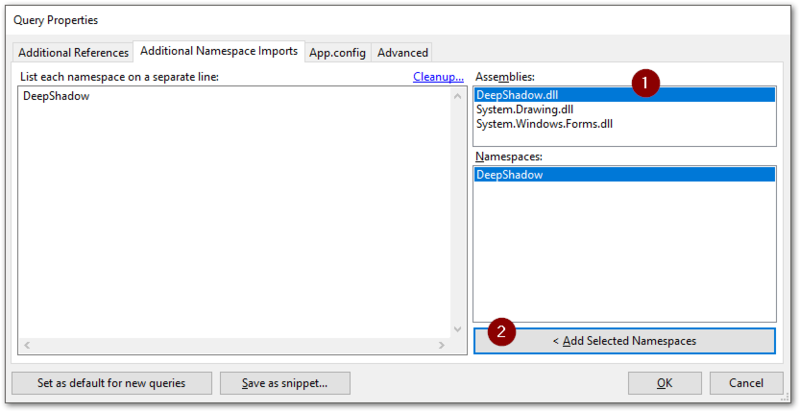 That's easy enough in most cases without any help from DeepShadow. 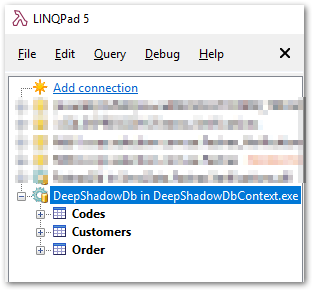 I use (and recommend) the registered version of LINQPad for generating the data, though you could also create a console app to do it. The code's almost exactly the same. 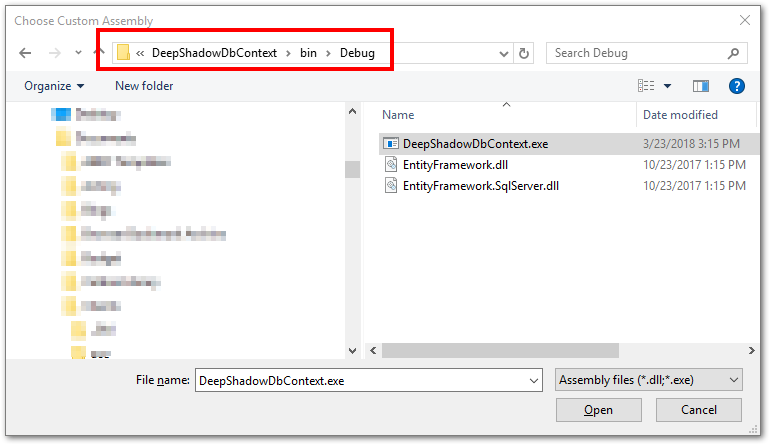 In this example, I've created a SQL database named DeepShadowSample, and a console application with an Entity Framework DbContext named DeepShadowDb. 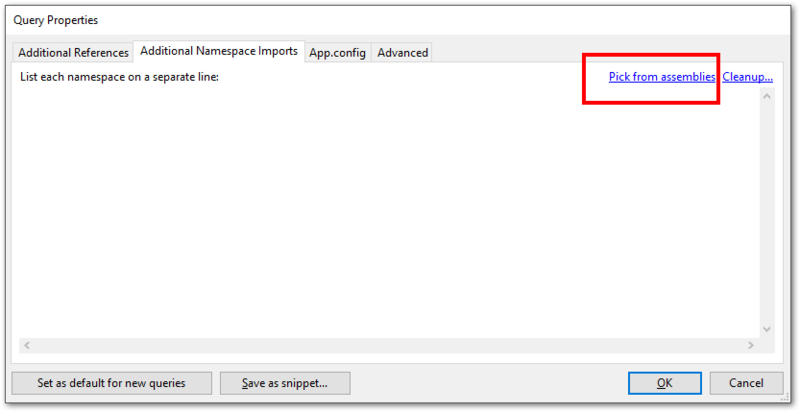 If you're using LINQPad, you must have a registered version in order to easily install the NuGet package. 6. 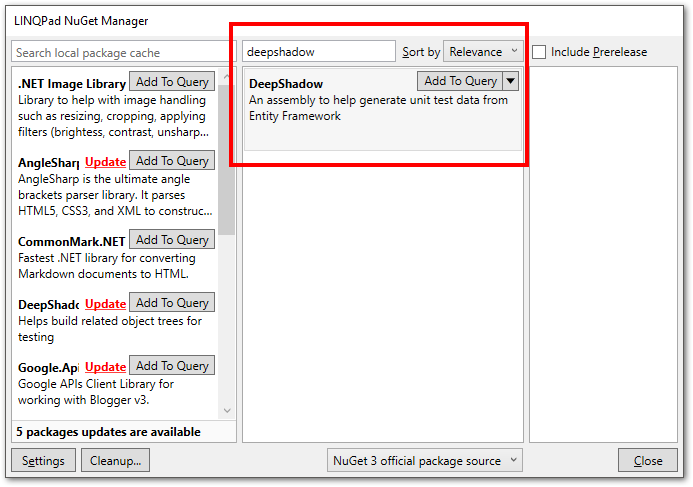 In the Query Properties window, Additional Namespace Imports tab, click Pick from assemblies and add the DeepShadow namespace. 7. 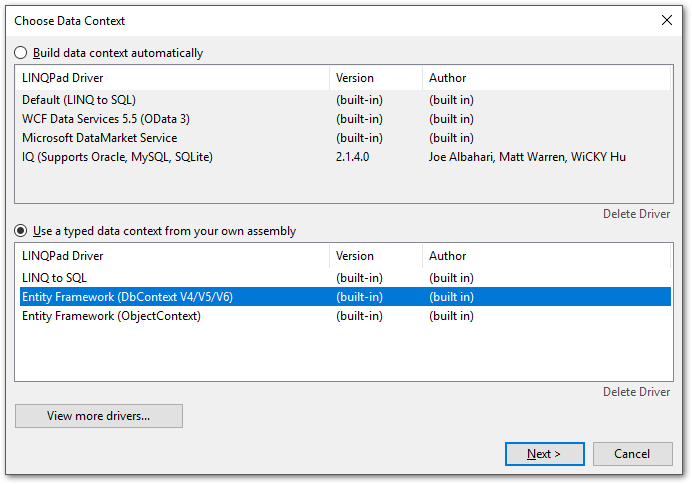 In the query window, add this code. Notice how it's essentially copy/paste from CustomerService.GetAllCustomers. //Note that the service does some data manipulation by setting Codes from another table.